AN INNOVATIVE and dedicated Woking woman has been nominated for the Surrey Business Woman of the Year award. 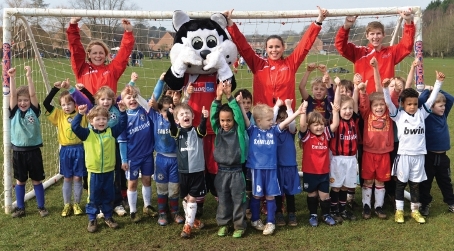 Sporty Kidz Founder and Director, Ellie Beagley, 27, is in the running to be crowned the county’s leading lady for 2015. Sporty Kidz is a sports coaching company offering an exciting multi-sports programme for two to 18-year-olds. 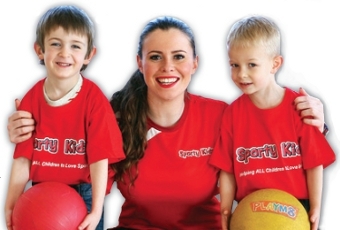 Ellie started her business with the motto: ‘Helping all children to love sport’. She then steadily found a team of coaches who understood the importance of delivering high quality coaching to ensure children enjoy and continue all types of sport. Over the years Ellie has put her all into delivering PE lessons, after-school clubs, holiday camps and birthday parties throughout the south east of England, encouraging children to get into sport while also raising the profile of women within sport. Upon learning about her nomination, avid Woking FC fan Ellie said: “I was really shocked to discover that I’ve been nominated for the Surrey Business Woman of the Year award. “It’s an incredible honour to have been nominated alongside an impressive list of other businesswomen in Surrey. VOTE for Ellie simply by visiting the Business Women in Surrey website www.businesswomeninsurrey.co.uk/nomination.php and clicking on the ‘Vote Now’ button next to her name. Sporty Kidz’ next holiday club is being held over Easter. For further information on all Sporty Kidz sessions and times, or to book your child’s place, go online to www.sportykidz.co.uk.